Non-faith based drug rehab options. One of the most important aspects for any drug rehabilitation program is the fact that it makes people feel comfortable. When a patient feels comfortable, the likelihood of the patient opening up during recovery, making lasting changes for the future, coming to terms with the addiction process and understanding how to keep destructive impulses and cravings at bay will all increase. Being in recovery can help forge connections with others and learn how to transition into ‘normal’ life when they leave the facility. Many of the programs throughout the nation use the same format first used in Alcoholics Anonymous. All of the steps of this process are codified in the “Big Book” of recovery. Even though this method may prove successful for some, others have indicated that they are uncomfortable with the fact that these steps seem rather close to taking on a religious concept with not enough emphasis on actual recovery. There is no denying that Alcoholics Anonymous (AA) has a history of religious tradition. The initial founders emphasized “universal spiritual values in daily living.” Some have suggested that many of the 12-steps are religious in nature. Even though many proponents will point out the fact that these steps do not use the word “God” (rather opting for “Higher Power”), this is not likely to be enough for its detractors. For example, certain group meetings may begin with prayer and others may come in to provide testimony as to how the program has managed to change their lives. Anyone who grew up with the Evangelical Christian and Baptist movement will consider these elements rather familiar. As a result, it may make some people who do not share these beliefs quite uncomfortable. Because recovery options run on an independent basis, it means that they can approve their own methods as they establish themselves. This means customizing their program in such a way that it takes the use of a Higher Power out, perhaps not including prayer before or during meetings. This is one of the reasons that people opt for inpatient facilities for addiction that have a twelve-step element but do not contain overt religious messages. However, for many others, those seemingly minor adjustments are not enough to persuade them. Many find the entire twelve step process to be religious in nature and decide that they want an alternative format, opting for a non-faith based recovery program instead. Because AA and NA have such religious undertones, the Ninth Circuit Court of Appeals in California determined in 2008 that forcibly attending Alcoholics Anonymous would cross the separation between church and state. Countless studies have proven that recovery options only work if a patient believes in it and feels compelled to continue with that particular treatment. 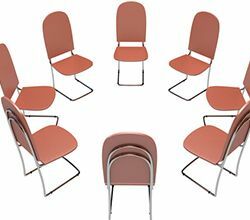 If a person feels uncomfortable with the discussion, or feels uncomfortable with potential support groups, it may become uncomfortable for them to attend these types of meetings. Simply put, if a person feels as though the information presented is relevant to them, the odds of them continuing upon the same road to recovery, increase dramatically. Studies have shown that the issue of religion is the defining issue, something that makes patients either less likely or more likely to continue their process. 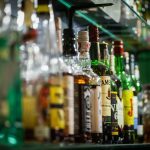 A study published in the Journal of Studies on Alcohol revealed that almost 36% of those participants who attended Alcoholic Anonymous meetings felt negatively about their attendance. The study stated that the appeal to a Higher Power made many people feel uncomfortable. Perhaps some of those patients continue to attend meetings, but with such cognitive dissonance about the actual treatment itself, it is safe to assume that their attendance will not continue indefinitely even if the results appear promising. Of course, it is important to note that religion is not the only complaint that keeps people from attending these programs. Some obstacles that patients face have nothing to do with religion. For example, those who resisted treatment were sometimes simply not ready for a change according to a study published in the journal Substance Abuse and Misuse. Sometimes patients do not take the program seriously or do not believe they need help. There are several reasons why patients may choose a non-faith based drug rehab and recovery option. The person has no true spiritual convictions or simply prefers a secular approach in treatment. The patient has a desire to keep their recovery from addiction and their spiritual life separate. Perhaps the patient already feels that their spiritual life does not need any additional help at that particular time. Some patients have tried a religious approach and found it did not provide them with the results they were looking for. Opting instead for seeking an alternative, science-based program. Perhaps there is a specific non-AA or non-twelve step approach the patient wants to try that is not offered in a non-religious option. This would obviously limit the choices immediately. Those who consider themselves agnostic or atheist may find it difficult to enroll in a program that emphasizes God or a ‘Higher Power’. Ultimately, a patient trying to recover from an addiction may find that religion plays little to no role in their success. Perhaps the patient is more interested in finding research-based options that have a proven success rate instead of finding common ground with other patients. 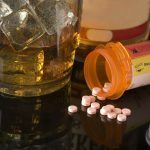 Ultimately, the most important thing is that the patient finds a location where he or she is most comfortable addressing the addiction issue. At New Beginnings, we understand that patients have to feel comfortable and also want proven results. It may be difficult to find the non-faith based drug rehab that matches your needs perfectly, which is exactly what we are here to help you with. We will be glad to answer all questions you may have about non-faith based drug rehab, faith-based rehab, or any type of addiction treatment questions, and we can help you begin a path to sobriety.